HOUSTON - With heavy rain expected across Southeast Texas, you can track the bayou levels and rainfall totals for the Houston area. Rising creeks and bayous are a concern for many residents, and you can check bayou levels at the Harris County Flood Warning System website at www.harriscountyfws.org. On the left-hand navigation under Map View Options, click/tap Channel Status. A green square means the bayou is still in its banks. A yellow triangle with an exclamation point means the bayou is nearing being out of bank. And a red circle with an exclamation point means the bayou is over the top of its bank. 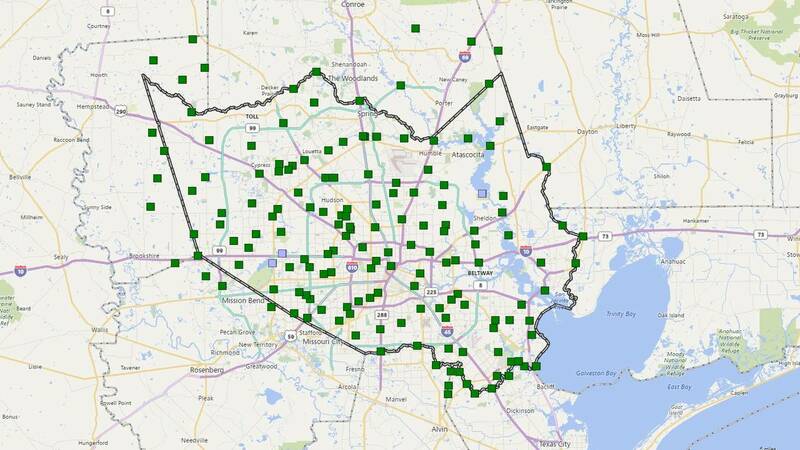 The site also has rainfall totals for Harris County. Just click/tap on Rainfall under Map View Options.